Welcome to "Bahntrassenradeln"! This is a private website collecting information about railway cycle paths in Europe with a strong focus on the German speaking area. 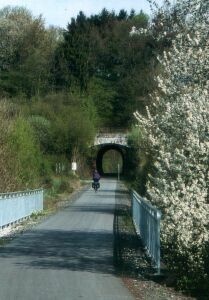 Rail-trails as a special form of greenways have become very popular during the last decades. 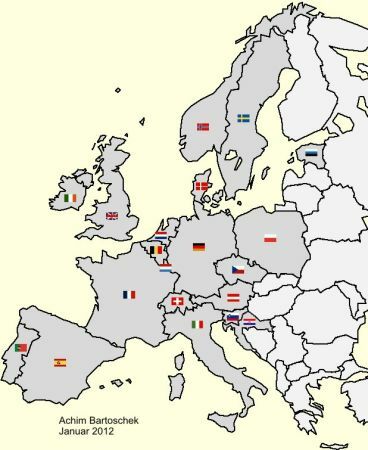 In several European countries ambitious rail-trail programs have been established (in Spain, the francophone region of Belgium or as a part of the National Cycle Network in the United Kingdom for instance). All in all some thousand kilometres of converted railway lines are used as valuable cycle routes today. Several regional, national and European authorities and organizations promote the development of greenways, and many efforts have been made to bring knowledge about these trails to the public  a remarkable example is the outstanding Spanish Vias Verdes website. Nevertheless it is quite difficult to get a comprehensive overview about the full range of rail-trails. The trails are structured by country on this website, and interactive maps shall allow easy navigation. So I hope it will be useful for an audience not familiar with German, too. "Bahntrassenradeln" is the result of ten years' work  but it is far away from being complete: Any comments and suggestions are welcome.